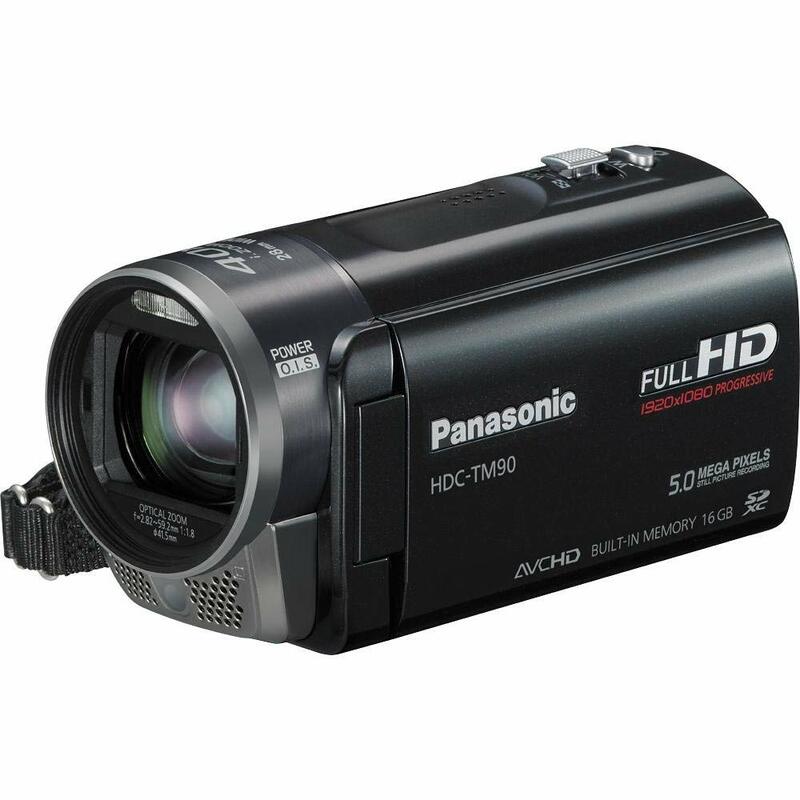 If you are looking for a video camera, then you might have come across the Panasonic HDC-TM90. This camcorder came out in 2011, and it replaced the company's HCD 700 series camera. The Panasonic HDC-TM90 offers both high definition and three-dimensional recording. The HDC-TM90 is an old camcorder, and you might be wondering if it is still an excellent option to consider today. The short answer is yes. You should consider buying the Panasonic HDC-TM90, that is if you can find it. Measuring 2.0 by 4.7 by 2.5 inches and weighing 8.64 ounces, the Panasonic HDC-TM90 is a light and compact camera that has a 28-millimeter wide-angle lens with smart 40x zoom. It also uses Hybrid Optical Image Stabilization technology and can capture both two- and three-dimensional videos. What can you expect from this camcorder? The Panasonic HDC-TM90 High Definition Camcorder allows you to record 3D videos as well as get 2D high definition videos with up to 1080 pixels of resolution. With traditional high definition videos, this video camera uses progressive recording, which means that you get to see the entire picture in every frame. The 1080p videos that the Panasonic HDC-TM90 produces have vibrant colors and a high level of detail, giving them a life-like quality that makes it seem as if you are there. The HDC-TM90 doubles as a still camera that allows you to get photos with resolutions of up to five megapixels. You can also use an optional VW-CLT1 3D conversion lens if you want to shoot 3D videos. You can watch these recordings on any 3D television. The complementary metal-oxide-semiconductor sensor works with the company’s Crystal Engine PRO processor to give you detailed photos fast. The CMOS sensor provides images with resolutions of 1920 by 1080 pixels and videos that have 60 (frames per second). The camera also uses a 28-millimeter wide-angle lens that helps you get a fuller shot, making this camera perfect for group pictures. The video camera also comes with Hybrid Optical Image Stabilization technology that gives you steady shots, and a 40x intelligent zoom that brings far away objects closer. The camera also has many shooting controls that allow you to get the perfect settings that you want to achieve for your videos and images. Plus, it can detect faces, allowing the camera to focus on a person’s face automatically. You will also like the scene modes and the Intelligent Auto features. All of these features enable beginners to shoot the perfect video or get the best photos even if they have no idea how to set the settings correctly. The camera also has redesigned noise reduction technology that gets rid of low-frequency noise that shows up when you shoot in low lighting conditions. The HDC-TM90 has a touchscreen LCD that measures three inches diagonally. This touch display allows you to frame your shots, see what the camera sees, and review your recorded videos. It also allows you to change the settings and scroll through the different menus easily. It has 230,400 dots, allowing you to see your shots better. The video camera makes it faster for you to share your images and videos. You can use the HD Writer AE 3.0, which is free with your purchase. This software allows you to edit and archive your videos, as well as making it easier to share your capture videos on social networking sites. You can also view your videos or images on an HDTV by running an HDMI cable from the camera or using the image viewer found on Panasonic VIERA televisions. The HDC-TM90 also makes it easy to create highlights of your images and videos. It takes several clips that you have shot and then compiles them into a highlight video complete with great music. The Panasonic HDC-TM90 also has intelligent resolution technology that detects the edges of the different objects in an image, then enhances these for better clarity. It also gives your videos the best sounds using the zoom microphone and the wind noise canceller. You can turn the soft skin mode on so that the camera will soften the focus on skin tones. This mode can help make people in your videos look younger and more beautiful, as wrinkles are less noticeable. Aside from these, the HDC-TM90 also has tele-macro, which enables you to shoot tight close-ups from around 20 inches away. You no longer have to get too close to your subject to achieve a macro shot, which is very useful if you want to avoid casting a shadow on the object or if you want to shoot a scene with soft focus backgrounds. Then you have the touch shutter features. When you are recording a video, you can touch the subject on the LCD screen, and the camera will train the focus on wherever you touch and then switch to still image shooting. The camera has some more features that are fun to have and convenient as well. These fun features include face detection, smile shot, and quick power-on. The Panasonic HDC-TM90 has a rating of 4.1 out of 5 stars on Amazon. Customers praised this video camera for its progressive recording, a full array of controls and its ability to record in HD. It also garners positive reviews for the features it offered, small size and low weight, as well as its fantastic video and image quality and the fact that you can use it as a still camera. The outstanding image stabilization feature is also one of its strengths. However, some users complained about the images and videos from this video camera being inferior, especially when you look at its contrast. This flaw becomes apparent when you transfer videos and pictures to your computer. There are also complaints about Panasonic's poor customer service, horrible warranty policies, and the durability of some of the camcorder's parts such as the battery. The HDC-TM90 has a higher rating on B&H Photo and Video, where it is rated 4.6 out of 5 stars. Customers liked that this camera allowed them to shoot in HD without emptying their bank accounts, as well as its impressive selection of features, and automatic settings. Critical reviews, however, talked about the menu icons, which were hard to figure out. Plus there are complaints that this is not compatible with Macs. Panasonic is no longer manufacturing the HDC-TM90. However, you can find used units on Amazon. Prices for this video camera range from $140 to $530. To write this review, we looked at the support page for the Panasonic HDC-TM90, as well as the sales pages on online retailer sites such as B&H Photo & Video and Amazon. We also looked at its list of specifications, and the owner's manual. We followed the same process for the featured competitors we have listed here. There are a lot of video cameras that allows you to record videos in high definition. 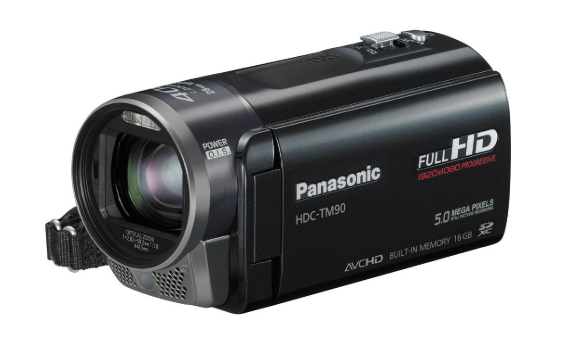 How does the Panasonic HDC-TM90 compare to the Canon VIXIA HF G40 Full HD Camcorder, the JVC GZ-V500BUS1080p HD Everio Digital Video Camera, and the Sony HD Video Recording HDRCX405 Handycam Camcorder? 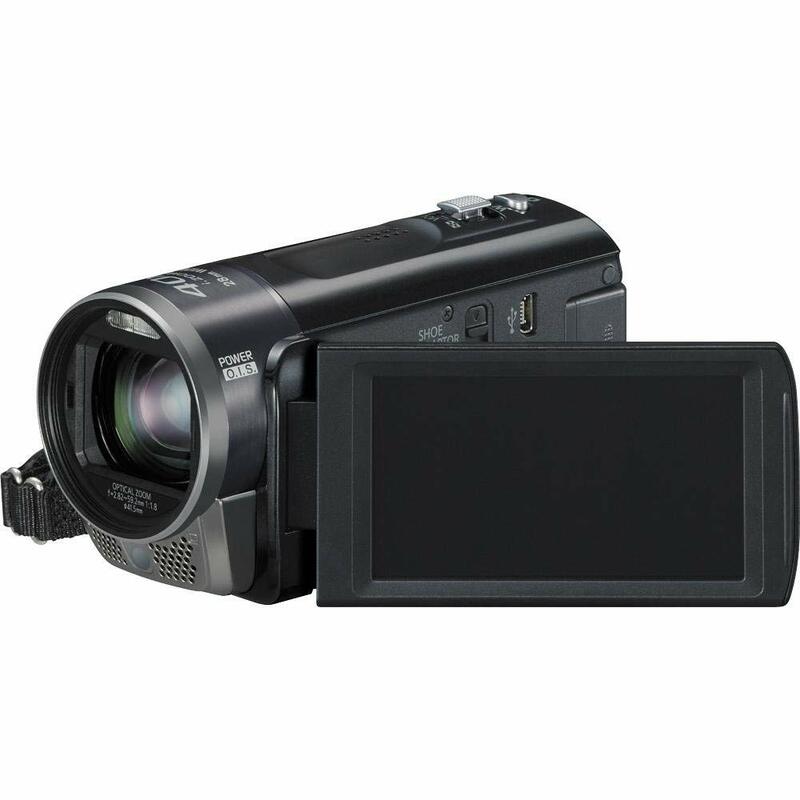 The Canon VIXIA HF G40 uses an advanced high definition CMOS sensor that has better low-light performance. Like the Panasonic HDC-TM90, it gives you 1080p videos at 60 frames per minute. The VIXIA HF G40 stores your videos in MP4 format, and it delivers 20x optical zoom lens, an OLED touchscreen that measures 3.5 inches. It also has dual memory card slots and Canon's Intelligent Optical Image Stabilization technology. The Canon VIXIA HF G40 has a rating of 4.4 out of 5 stars on Amazon. Customers love this camera's stellar video quality and the fact that it is better than consumer level cameras. It also delivered better photos and videos in low light conditions. However, this is not a perfect device. There are complaints on how difficult it was to work with the touch display and the remote. Negative reviews talk about how the video quality is not what you might expect considering that this video camera is somewhat expensive. Further, it gets a rating of 4.7 out of 5 stars on B&H Photo and Video. Prices for the Canon VIXIA HF G40 range from $1,050 to $1,300. You can buy this camera from Amazon, eBay, B&H Photo and Video, and other online retailers. Or you can buy it directly from Canon. The JVC GZ-V500BUS1080p HD Everio Digital Video Camera is a compact and light camcorder that records in full 1080p resolutions. It has a wide angle lens and a backlit CMOS sensor that helps deliver great photos and videos even in low light. Pricing for this camera ranges from $600 to $650. 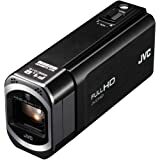 It has a rating of 4.6 out of 5 stars on Amazon, where customers praise the JVC camcorder for how light, affordable, and small it is. However, some people think that the video quality is middle of the road. This camera does not have a poor video quality, but it is not something that you will describe as impressive. Even if you are looking for an HD camcorder, you should still check out 4K video cameras just in case you get a better deal. These 4K video cameras can also shoot in high definition if you want to. One of the more affordable 4K camcorders you can find now is the Sony FDR-AX33. The Sony FDR-AX33 4K HDR Camcorder is a small and lightweight camera that features the balanced optical SteadyShot image stabilization technology, a Zeiss Vario Sonnar T lens with 10x optical zoom and 20x Clear Image zoom, and an Exmor R CMOS sensor. You also get the Bionz X image processing technology. These technologies equip the FDR-AX33 to deliver Ultra HD videos that have resolutions of 3840 by 2160 pixels. It comes with an LCD touchscreen that allows you to see your shots. Another feature you will love about the Sony FDR-AX33 is the direct pixel readout technology. This technology gives your videos smoother edges and better colors, compared to other video cameras. It also uses Dolby Digital 5.1 channel recording, ensuring that your videos sound great too. Beginners will fall in love with the automatic settings they get from this camera. These settings will allow newbies to get the best images and videos almost without thinking about it. On the other hand, more advanced users and professionals will relish the manual controls it offers. The Sony AX33 gets a rating of 4.1 out of 5 stars. Verified buyers on Amazon praise this for how easy it is to handle and how portable it is, as well as its excellent video and image quality and the image stabilization technology it has. On Sony's online store, the Sony FDR-AX33 garners a rating of 4.2 out of 5 stars, while on ABT.com, it gets a rating of 4.3 out of 5 stars. You can buy the Sony FDR-AX33 for anywhere from $650 to $750. You will love how this camera helps you get excellent videos and photos. For instance, you usually get shaky footage when you are zooming in. However, the hybrid image stabilization technology will help you get steady videos. And if you are using the zoom and you are not moving the camera around, you can use the OIS lock feature to get more image stabilization into your shots. This feature comes in quite handy for bird watching and other similar shooting situations. The HDC-TM90 does not use interlaced recording, which means that each frame will show you the full picture. The progressive recording results in better image quality and smoother videos. Also, you will probably want to spend a lot of time learning about the features that this camera has. The Panasonic HDC-TM90 packs a lot of convenient features and functionalities that help you do more with the camera without lifting a finger. For instance, it can take snapshots as soon as it detects a face, or when somebody smiles. It can also select the best scene mode for a particular shot. Other features you can enjoy with the Panasonic HDC-TM90 include AF/AE tracking, intelligent scene selector, smile detection, pre-rec function, auto power save, backlight compensation, built-in speaker, and others. spend a lot of time learning about the features that this camera has. This video camera advertises its ability to record 3D videos. However, you might need to buy a separate lens to do this. The package does not include the 3D conversion lens. Moreover, this camera does not have a viewfinder, so you mostly rely on the three-inch LCD touchscreen to frame your shots. Further, it would help if you read the warranty for this video camera. The company covers your camcorder's parts for one year, with free labor only for 90 days. However, you would need to ship your video camera to Panasonic, and you would need to pay for the shipping and the insurance. It may have come out in 2011, but the Panasonic HDC-TM90 has a lot of things that you will like. This model is a competent video camera that can give you high definition videos and images. It also has a wide assortment of features and an impressive line-up of technologies. The thing is, the older Panasonic HDC-TM90 has comparable technologies with the Sony FDR-AX33 4K HDR Camcorder. This fact should say a lot about its capabilities. If you can find the Panasonic HDC-TM90 and you do not need 4K recording, then you should buy it. The Panasonic HDC-TM90 is for instance, you usually get shaky footage when you are zooming in and they have hybrid image stabilization technology will help you get steady videos. However it does not use interlaced recording.